Brand new and high quality.Local delivery from US ,3-5 days to arrive. 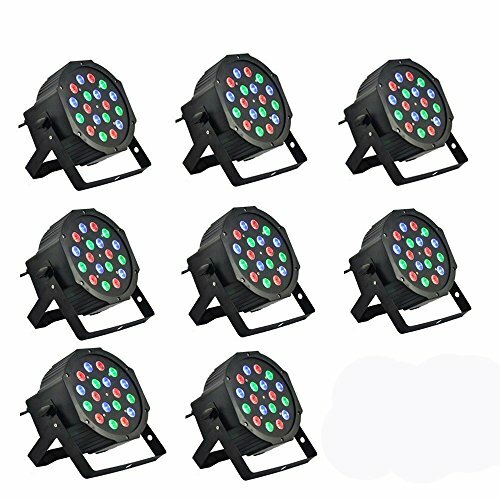 A perfect choice for you to have on all kinds of stages, party lightings and decorations.Perfect for clubs, DJ shows, home parties, ballrooms, show bars etc.It uses the latest LED technology adopting 18 LEDs (6 red, 6 green and 6 blue) each with 1W high power. Top grade LEDs with high brightness and low power consumption.With standard DMX-512 controller to control 6 channels.Stroboscopic effects with adjustable speed. Its bright lights can be changed automatically according to your settings and it also enables various visual patterns.Stable performance and long life. Dynamic magical dream effect such as gradual changing, hopping etc.Dual mounting brackets to hang on truss or install on a wall or put on the ground. If you have any questions about this product by Southern Chem, contact us by completing and submitting the form below. If you are looking for a specif part number, please include it with your message.